Haas lose Monza appeal: How does that shape the midfield? Haas have lost their appeal against Romain Grosjean's disqualification from 6th place at the Italian Grand Prix. 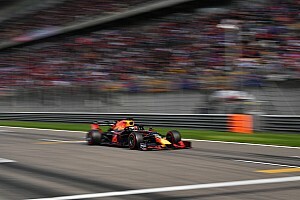 The US team had been hoping for a reversal of the stewards' decision to exclude the Frenchman from the Monza race, but now face an uphill task to overall the thirty-point lead held by Renault for fourth place in the constructors' championship. 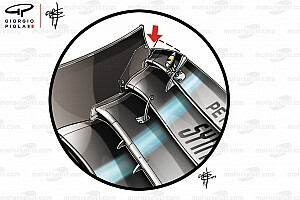 Prior to the summer break, the FIA had issued a technical directive to the teams to ensure that each car floor had a 50mm radius at each front corner of the reference plane. This made Haas' car illegal, and they had until the Italian Grand Prix to alter their design. However, Haas asked for special dispensation to delay their revised design until one race later, the Singapore Grand Prix, due to delays from outside suppliers. 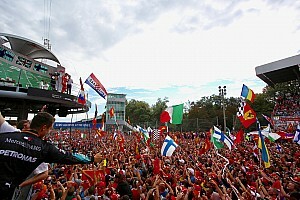 Ultimately, the permission was not given, and a protest from Renault after the Italian Grand Prix resulted in Grosjean's exclusion. As well as denying Haas eight points, the disqualification also promoted Renault's Carlos Sainz from ninth to eighth place, giving the French team an extra two points and giving them a ten-point swing in the constructors' contest. "Obviously we are disappointed not to have won our appeal," said Haas team principal Guenther Steiner. "We simply move forward and look to the final two races of the year to continue to fight on track, earn more points, and conclude our strongest season to-date in Formula 1." In order to take fourth place from Renault, Haas face the mammoth task of outscoring their rivals by thirty points in the last two races. For reference, Haas have only once scored a combined thirty points across a two-race period - across the French and Austrian Grands Prix, both races where drivers from the top six teams encountered trouble. 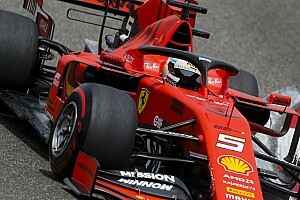 Therefore, they need their car to be better adapted to the Brazilian and Abu Dhabi Grand Prix circuits, drivers from the top six to have problematic races, and for Renault to score minimal points. Despite their improved pace in 2018, this disqualification is the latest in a long line of incidents that have hampered a promising season for Haas. Retirements from high-scoring positions in Australia, disqualifications and incidents for Romain Grosjean have all been factors in costing the team many more points than they have. After being under threat from Haas, Renault have strengthened their hold on fourth place with 22 points in the last two races, which would've been more had Carlos Sainz's car not failed in Mexico. Nico Hulkenberg now has a twelve-point lead in the contest for seventh place (on 69 points). His nearest competitors, Force India's Sergio Perez (57 points) and Haas' Kevin Magnussen (53 points) both failed to score at the Autódromo Hermanos Rodríguez.